Built in 1922 by Swan, Hunter & Wigham Richardson Ltd. 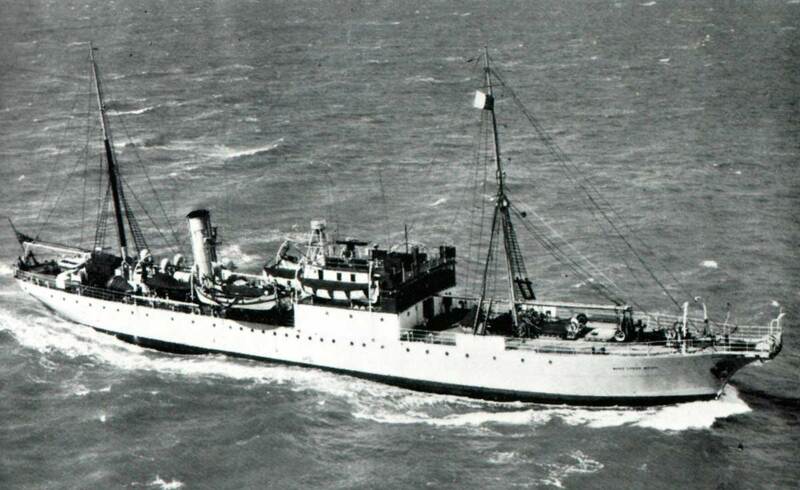 Built as a cable repair vessel and launched on 11 May 1922. Cable machinery consisted of a double combined paying out-picking up machine, manufactured by the Telegraph Construction and Maintenance Company. 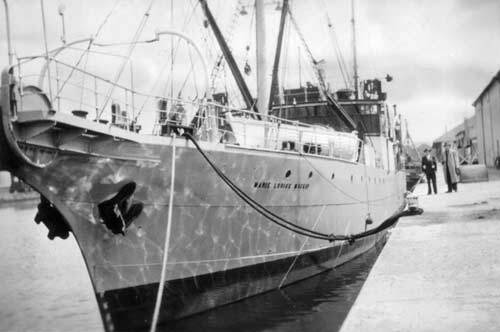 Three bow sheaves and one stern sheave plus three cable tanks with a total capacity of 14,750 cubic feet were installed. Sold for scrap in 1961, arriving at Bruges on 4 March for breaking up. 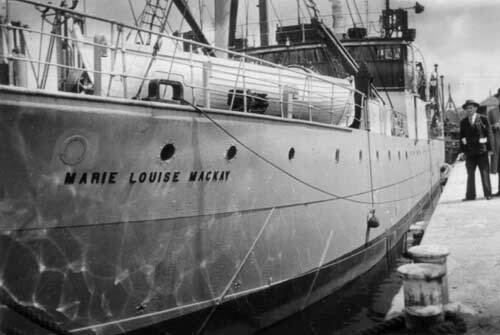 The two photographs above, showing CS Marie Louise Mackay at Le Havre, France, in 1957, are from the collection of the late Paul Gayet. M. Gayet was a telegraph operator who worked at the Commercial Cable Company's Le Havre office until it closed in 1958. His father and grandfather were also both telegraph operators; the photographs are reproduced here by kind permission of Paul Gayet's daughter. More information on M. Gayet's work at the Commercial Cable Company may be found on the Le Havre page.